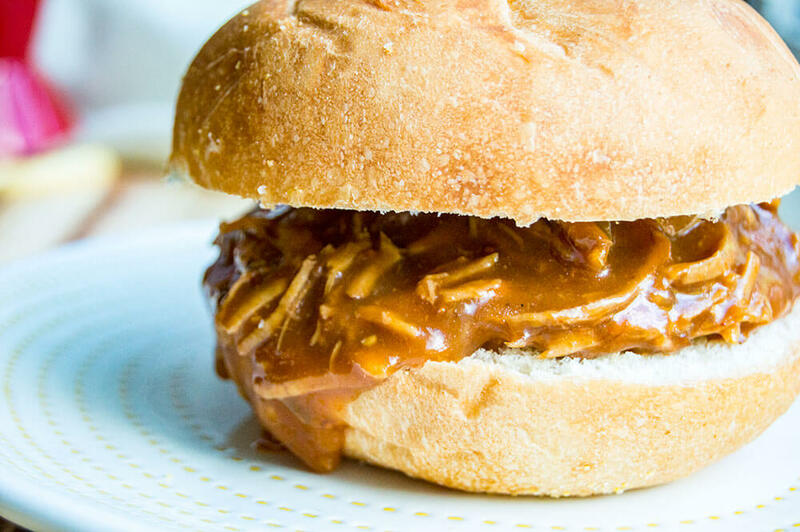 Summer may officially be over but that doesn’t mean you can’t still whip up a batch of BBQ pork! I freakin’ love my Instant Pot. 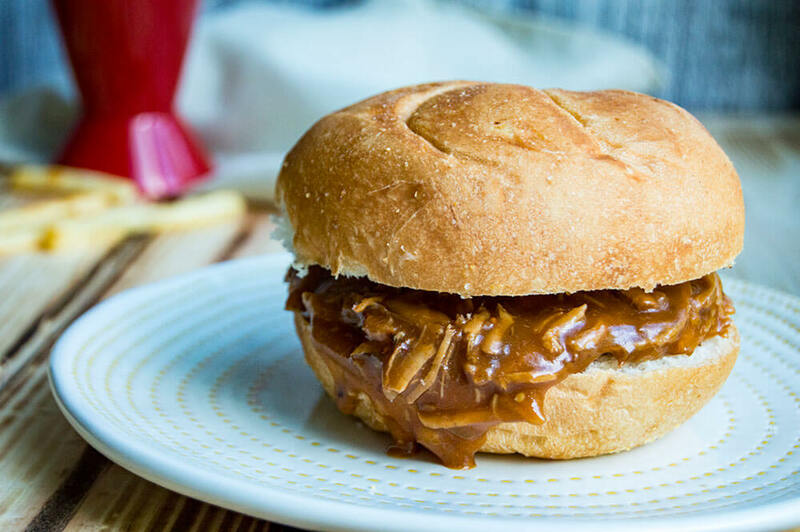 It makes normally hours-long meals take just a few minutes – which means things like perfect pulled-pork barbecue are back on the menu as an easy weeknight meal. I found all my ingredients on sale this week too, which means I saved a buck or two on an awesome meal! Pork shoulder is the best meat to use for pulled pork because it is insanely tender and shreds easily. 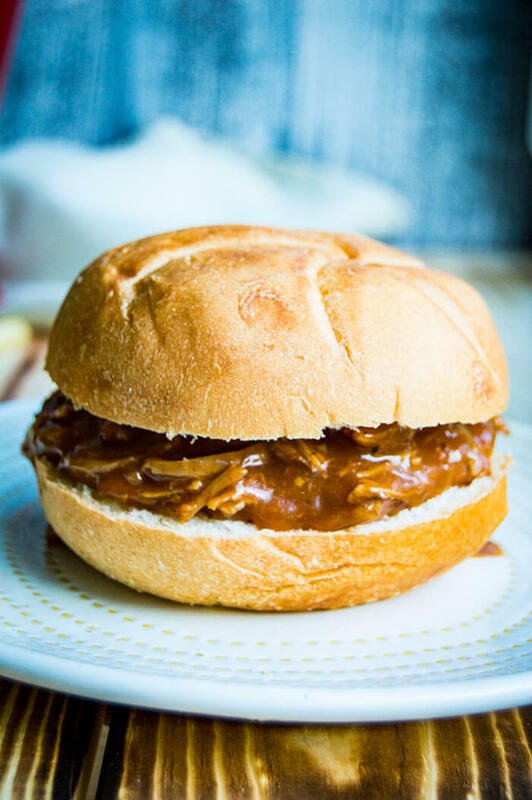 My favorite way to make pulled pork is to use a hand mixer rather than forks to shred the pork. This trick also works on chicken! It saves a ton of time and is easier on your hands. 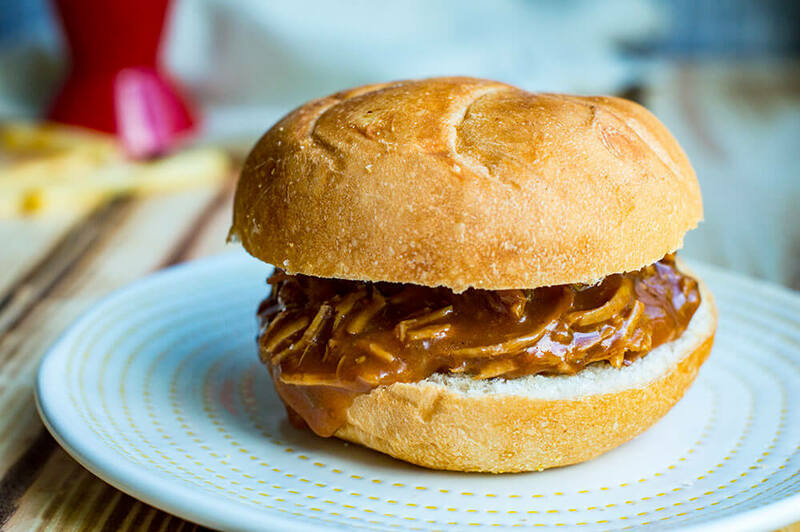 This pulled pork takes inspiration from fall and summer flavors – it’s sweet from apple cider but spicy from a Texas-based barbecue sauce. It certainly makes transitioning into the colder weather that much more bearable. Season the pork shoulder with salt and pepper. Rub it in with your hands. In a large bowl, whisk together all of the remaining ingredients to create a thick sauce. Preheat the olive oil in the Instant Pot (IP) on saute-mode on the “more” setting. Saute the pork shoulder on all sides until it is browned but not cooked through. Turn the IP off. Pour the sauce over the pork loin and move it around so it is adequately covered. Put the lid on the IP and put in into Pressure Cook on the “normal” setting. Pressure cook for 45 minutes. When the pork shoulder is done cooking, let the IP depressurize naturally or carefully perform a quick release. Remove the pork shoulder to a large bowl. Turn the IP off. Then put the IP back onto saute-more on “more”. Bring the sauce to a rolling simmer and let it thicken for about 10-15 minutes. Meanwhile, use two forks or a hand mixer to shred the pork shoulder. Pour the thickened sauce over the shredded pork (reserve about ½ cup for extra sauce for topping). Let the sauce heat up the shredded pork. Serve with buns and any remaining sauce for topping. Enjoy!